Suzanne Bearne shares her tips on how to see New York on a budget. You might think it well nigh impossible to visit one of the world’s most captivating cities and not spend mega bucks. But with a little restraint, you can certainly tighten your purse strings and still have an incredible time in the Big Apple. 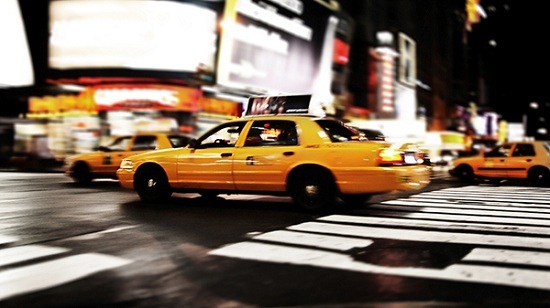 Firstly, forget hailing a cab from the airport to your accommodation, whether that’s in Manhattan, Brooklyn or Queens. Instead opt for the speedy AirTrain, which costs $5, and connects the airport to the subway. The average subway journey – which costs $2.50 - from the airport to Midtown Manhattan, takes 60 to 75 minutes, compared to 30 to 60 minutes in a cab. The latter will cost you a flat fare of $52.50, plus tunnel and bridge tolls, and that’s before an additional tip of 15-20%. Similarly, as much as you might be tempted to wave down a yellow cab, many attractions are in walking distance of each other. A short stroll will not only help you connect all the diverse neighbourhoods but save you the dollars. Alternatively, hop on the speedy and 24-hour subway. If you’re visiting for more than a few days then it might be worth snapping up a weekly pass. Beware, shark sightings are not included in the price. New York may not trump London when it comes to free museums but there’s plenty of attractions that you can visit on the cheap. Take the High Line, New York’s wonderful elevated park where you can while a way a couple of hours checking out the greenery, catching up with a friend over coffee or perusing the small selection of market stalls. When I’m in New York, I get the most joy out of pounding the city’s blocks and getting lost walking down avenues, not sure where I’ll end up. Greenwich and parts of Brooklyn, such as Brooklyn Heights, make for good walking points. As for museums, remember some of them, like the Met, are donation-only (they don’t tend to promote that so much) so don’t feel pressured to pay full whack. One of my all-time favourite things to do in New York doesn’t cost a thing: wander around the galleries in Dumbo, Brooklyn then perch yourself at Brooklyn Bridge Park and watch the sunset. You’ve got bridges either side of you and in front is that spectacular skyline set against a backdrop of changing orange, pink and red hues. Memorable and a little bit soul stirring – and all for free. Hotels rates in Manhattan can make your eyes water; so instead sleep off the island in Brooklyn or Long Island City (LIC) in Queens (yes, it is still part of New York). You might not have the Empire State Building down the road or be able to gaze up at the Rockefeller but you’ll be rewarded in so many other ways. These boroughs are becoming de rigour for those in the know, don’t you know? In LIC, you can save around 40% off your standard Manhattan hotel bill – and find yourself with more square footage to boot. Plus, you know those iconic buildings I just mentioned? In many hotels rooms in LIC, you can throw open your curtains and be rewarded with that soul-stirring vista. Saving dollars and bagging an iconic skyline? Smart. Plus there’s plenty of attractions around these parts. Brooklynites don’t bother getting the subway to Central Park. Why should they when the rather lovely Prospect Park is on their doorstep? And LIC holds its own with a sculpture park and contemporary art hub MoMA PS1. Macy’s, Bloomingdale’s and endless luxury stores on Fifth Avenue – it’s little wonder the city is deemed one of the best shopping destinations in the world. Still, for those on a budget, there’s plenty of places to find a designer bargain. Century21 is considered New York’s discount emporium king. Here you can rummage through racks and racks of clothes, shoes and accessories to pick up excellent labels at a knock down price. From footwear in its basement to bags on the ground floor, here you can spoil yourself rotten without having to worry too much about the price tag. If you’re even more intent on finding a bargain, head over to clothing exchange Beacon’s Closet in Williamsburg (the hipster’s playground). Here’s you’ll find the company’s biggest branch, full of rails of used clothing and accessories. Alongside more modern clothing from Zara, you can discover Tory Burch, Hugo Boss and Jonathan Saunders. Suzanne Bearne is a freelance journalist specialising in retail, fashion and travel. She’s also a travel blogger and can be found blogging at www.devotedtotravel.wordpress.com and tweeting at sbearne. If you're looking for a budget break to the Big Apple, take a look at our cheap flights to New York or our North America sale. We currently have 3 night holidays to New York with return flights from £649!